Brett Rivkind is a leading national renowned maritime personal injury and wrongful death attorney. 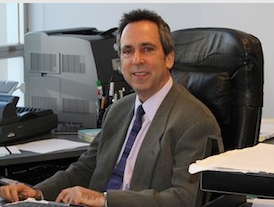 He has been handling Maritime/Admiralty cases for over 25 years. After graduating from the University of Florida College of Law with honors, and being selected to the Florida Chapter of the Order of the Coif based on being in the top five percent of his graduating class, Brett Rivkind started his career at a large maritime firm, where he handled cases on the defense side. Within the first five years of handling hundreds of maritime and personal injury cases involving the cruise ship industry, Brett Rivkind decided he wanted to help the victims of accidents and crimes, and decided to represent only the victims in maritime and personal injury cases. Since leaving the defense side, Mr. Rivkind has only represented individuals or families who have been the victims of crimes and accidents onboard all types of boats and ships, focusing mainly on incidents occurring aboard passenger cruise ships. He has used his invaluable experience obtained while handling cases on the defense side to benefit his clients who have been victimized due to an accident or crime aboard a cruise ship.